Pools may be a great way to beat the California heat, but they come with inherent safety risks to children. Sadly, drowning is the second-leading cause of death for 1 to 4-year-old children in California. A tragic 160 young children died from drowning in California pools between 2010 and 2014, and in this period more than 740 children were hospitalized for near-fatal drowning injuries including brain trauma caused by near drowning. 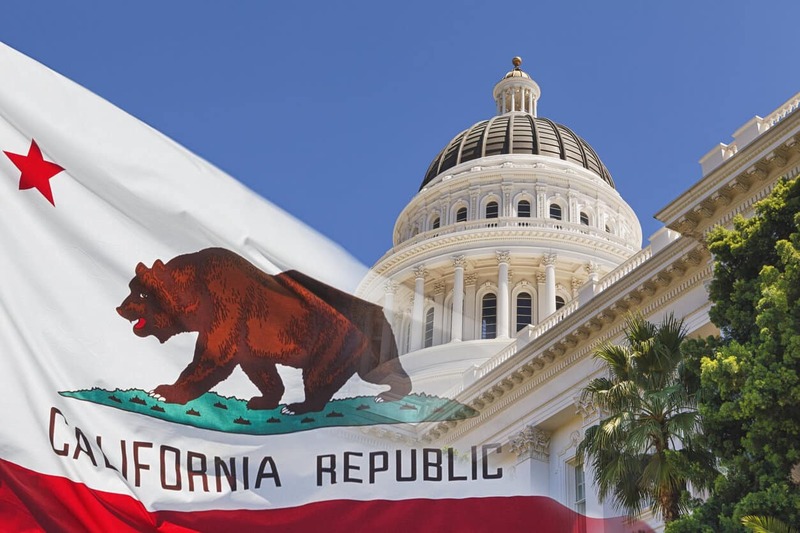 California’s original 1996 Pool Safety Act required all new private swimming pools to be equipped with at least one approved safety measure; a permanent fence, compliant pool cover, door & window alarms, and self-closing door and window devices. This California pool law was amended in 2006 to include two more pool safety barriers – an ASTM F 2286-05 compliant removable mesh pool fence and an ASTM F 2208-08 pool alarm. This recent 2018 amendment now requires newly permitted private pools to double up security measures by requiring the pool to be equipped with 2 out of 7 choices of compliant separate safety features. During the planning process of building your new pool or remodeling your existing one, take the time to research which of the two approved safety measures will work best for your pool layout and family’s security. The top of a fence or wall used as a barrier needs to be a minimum of 48 inches above the exterior side of the barrier. The gate is self-closing, and self-latching and the latch is placed no lower than 54-inches above the ground. The gate is hinged, and the latch is placed on the outside of the gate. The fence surface will be free of protrusions, cavities and other characteristics that would serve as a handhold or foothold. The distance between the vertical poles is sufficient to hinder a child’s ability to climb. The static load test for weight support. The cover should be able to hold a weight of at least 485lbs (the estimated average weight of 2 adults and one child) to permit rescue operation. (4) Exit alarms on the private single-family home’s doors that provide direct access to the swimming pool or spa. The exit alarm may cause either an alarm noise or a verbal warning, such as a repeating notification that “the door to the pool is open.” Exit alarms are also required on ANY door or window that permits access from the residence to the pool area without an enclosure between the pool and the home. The exit alarm must make a continuous audible sound when the door or window is open and or ajar. (5) A self-closing, self-latching device with a release mechanism placed no lower than 54 inches above the floor on the private single-family home’s doors providing direct access to the swimming pool or spa; this is ANY door opening on to the pool area, sliding or otherwise. The alarm shall sound within 20 seconds both at the pool and within the residence via a remote receiver. The alarm shall be capable of providing a sound pressure level of not less than 85 DBA. If the alarm is battery operated, there must be a low-battery indicator. Katchakid has decades of experience in helping pool owners make their pools safe. Our safety technicians are here to answer any questions you may have, and they go through intensive training to learn how to install our products for the utmost safety and reliability. Contact us to learn more about our pool fences, pool covers, and pool nets today!